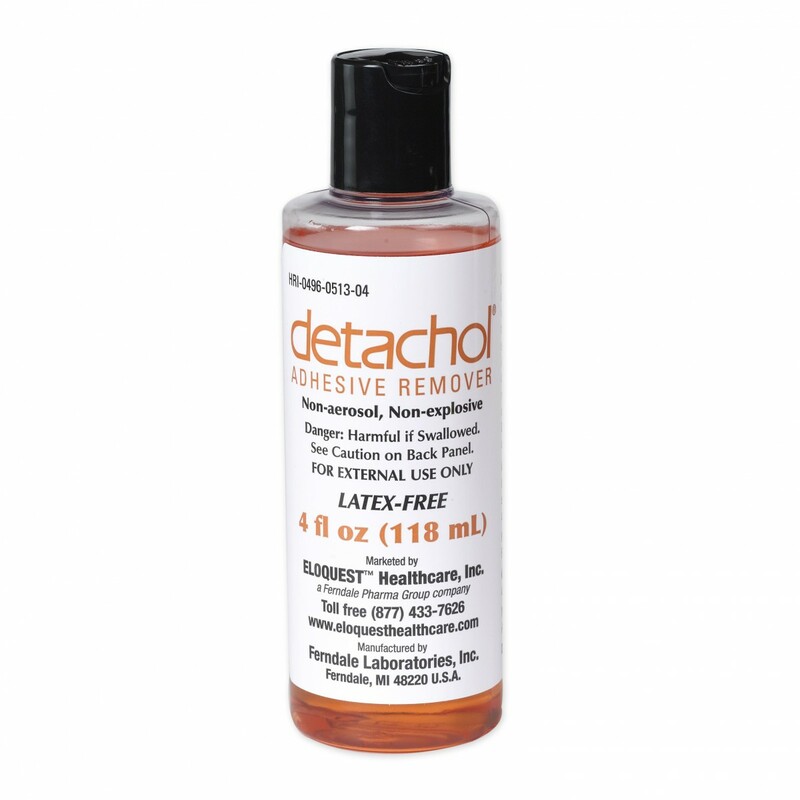 Detachol Adhesive Remover, formerly manufactured by Ferndale Labs is now manufactured by Eloquest. This gentle, non-irritating Adhesive Remover is used to remove dressings, wound closure strips, tapes, tubes, and liquid adhesive. Detachol works well around the face since the pleasant fragrance will not irritate the eyes or nose. 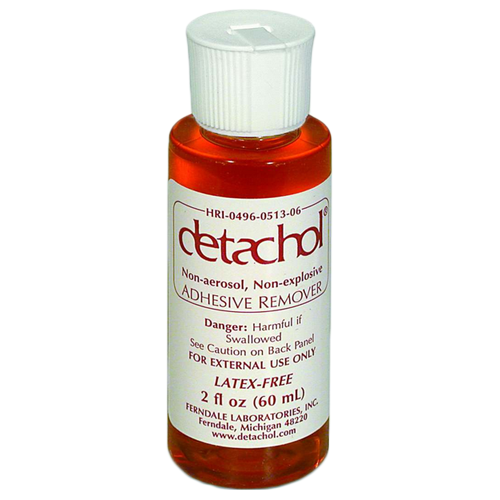 Detachol does not contain acetone, benzene, chloroform, or ether. Sorry, Detachol cannot be shipped to Alaska or Hawaii. 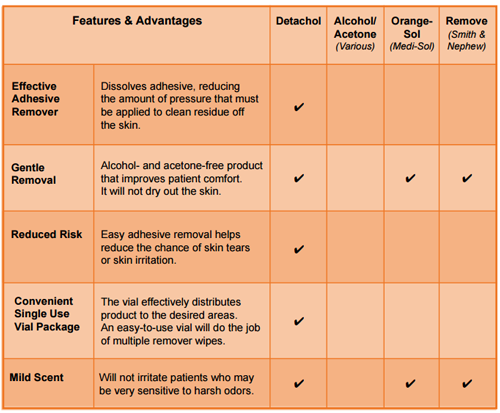 Detachol Adhesive Remover Brochure discusses highlights of this ostomy adhesive remover. Detachol MSDS Material Safety Data Sheet. Detachol FAQs answeres frequently asked questions.